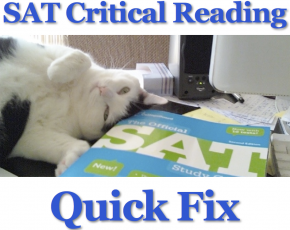 Is there an alternative to SAT tutoring? Some students in Great Neck, NY thought so. They paid someone to take the SAT for them. They got caught. Nassau County District Attorney Kathleen Rice announced that six Great Neck North High School students had paid 19-year-old Samuel Eshaghoff thousands of dollars to take the SAT for them. Eshaghoff, who graduated from the high school in 2010 and is currently enrolled at Emory University in Atlanta, was paid between $1,500 and $2,500 per student. He has been arrested and charged with scheme to defraud, falsifying business records and criminal impersonation. Eshaghoff faces up to four years in prison if convicted…the six students accused of hiring Eshaghoff have also been arrested and face misdemeanor charges.